Most people go around all day worrying about whether or not they are doing the right thing in mobile app business. Sometimes they have sized it all up in a way that’s not going to help them break into the market they want, or come up with the fail-safe idea of what the customer has been wishing on for the past year or just who the end-user really is. All too often people in the business environment want to find the right questions and have the right answers. Everything has to be right, right, right. But, it’s not always just the right that gets you where you want to go and helps you improve the way you’re doing business. Sometimes, it’s the wrong that is far more valuable than anything you might have ever thought of. What is Lean Mobile Strategy? Lean strategy in a company is maximizing customer value while minimizing waste and cutting costs, but it’s not just budget restricting. It’s not doing it on the cheap; it’s simple cost-effective ways of thinking and working. The mobile application sector couldn’t be a better example. Lean in mobile allows to verify the validity of concepts through users by seeing how they act. 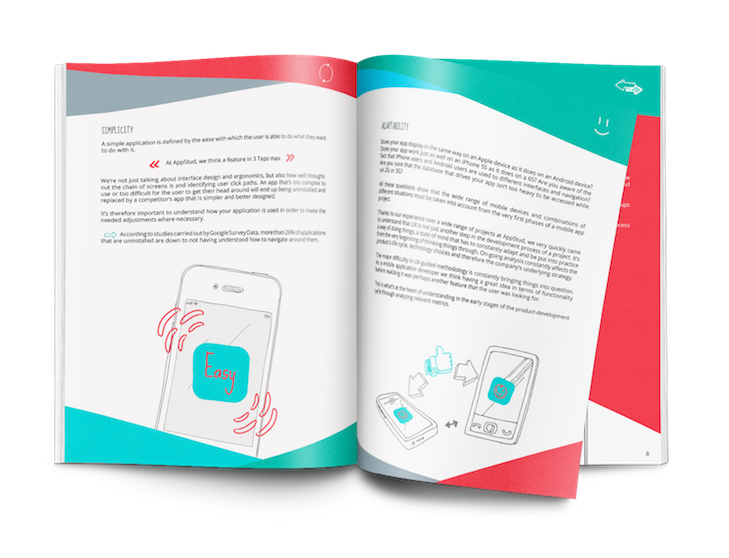 Designing a mobile app is not about sitting around a table to get the brainstorming ideas flowing, followed by the design and the launch on the app store. This recipe is most of the time synonymous with failure. Yes, failure! The app will launch and have a good start since you had a good idea. But, if you didn’t ask the right questions (here read, the wrong questions) to see what the user wants and more importantly doesn’t want, then you aren’t going to get anything more than a boom of downloads on an app store and then a trickle until it all peters out. You will then realize that you have invested thousands into a project that wasn’t worth the time or the effort; simply because you didn’t ask the right questions to get the elimination process into motion. Keep in mind that during the life of the app, it’s the quality of User Experience (UX) itself that will ensure how long it lasts (source: Flurry Analytics). So, how to go about doing it? You have an idea for an app. Your first objective should be to make sure that you put down any hypotheses about the design, the end-user, the environment, the way it will be adopted and to validate them all. It’s not necessarily the right answers that count, but the wrong ones that will help you eliminate the hypotheses that you had. 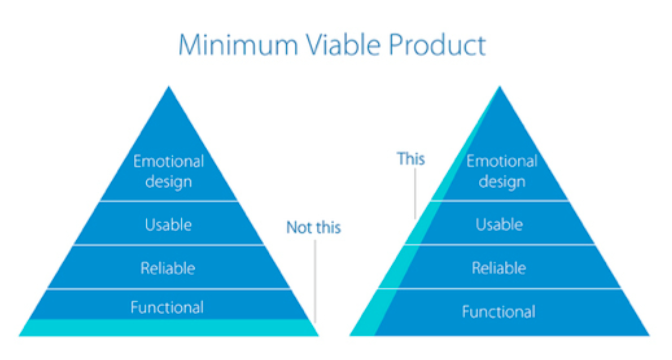 Your MVP must be unique (and create added value), stable (mustn’t have any malfunctions), simple (offer an intuitive experience) and aesthetic (visually appealing). It is essential to put the user in realistic conditions to validate your hypothesis. If it doesn’t, then great, because that means your Lean Strategy will be working. You won’t be wasting money in a year when you discover that the idea of the app you had wasn’t the right one. So once your MVP is built, test it and try hard to get rid of any hypothesis that you came up with. Then, move on to the next stage according to the answers that are provided. Learn and build again by making changes according to user feedback. Users will help you make the right choices. It’s human nature to jump to conclusions. You have an idea, you believe you know how the user will act and then you’re surprised when they don’t. That’s because hypotheses are made and there’s no testing going on to prove or disprove them. The strategy should be to have hypotheses and then instead of rushing headlong into a solution that will most probably turn out to be failure, eliminate the problems around them first and foremost. Find a problem and instead of looking for the solution, which will just mask that problem, look for its root and weed it out. When coming up with an app that’s going to work, you need to stop thinking how users ‘should’ be acting in your opinion and start by seeing how they actually act. Mark Twain, the famous American author and humourist, once said: “What’s the use you learning to do right when it’s troublesome to do right and ain’t no trouble to do wrong, and the wages is just the same?” The trouble is all our lives we have been taught to do the ‘right’ thing and that only doing it right will pay off. With Lean strategy you have to change your mind-set and start acting in a different way. You’ll have to ‘Lean Think’ and you’ll see, you’ll get the results you wanted. Lean Strategy in mobile-app development means significantly improve the chances of your app being used. 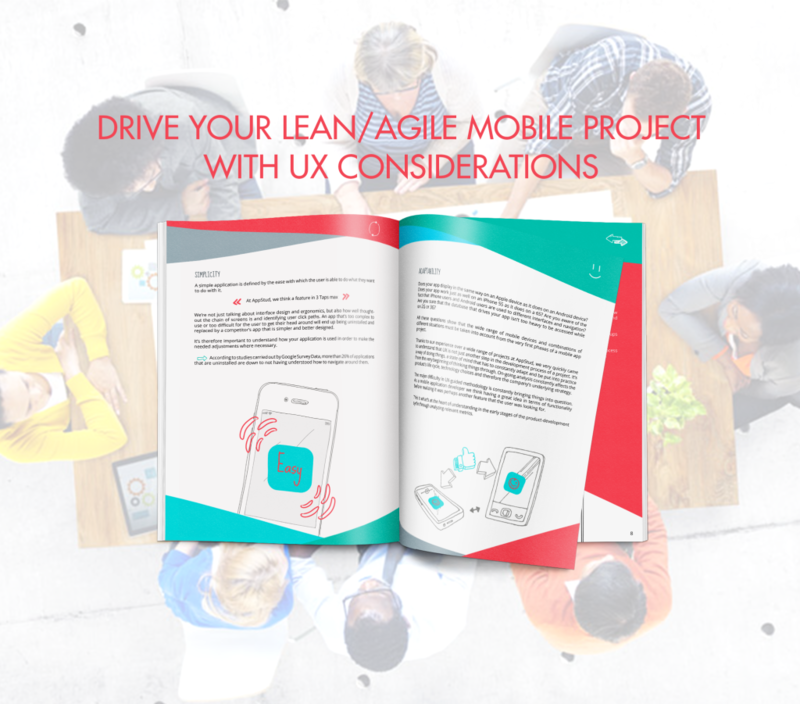 To learn more check out our “Drive your Lean / Agile mobile project with UX considerations” free white paper.